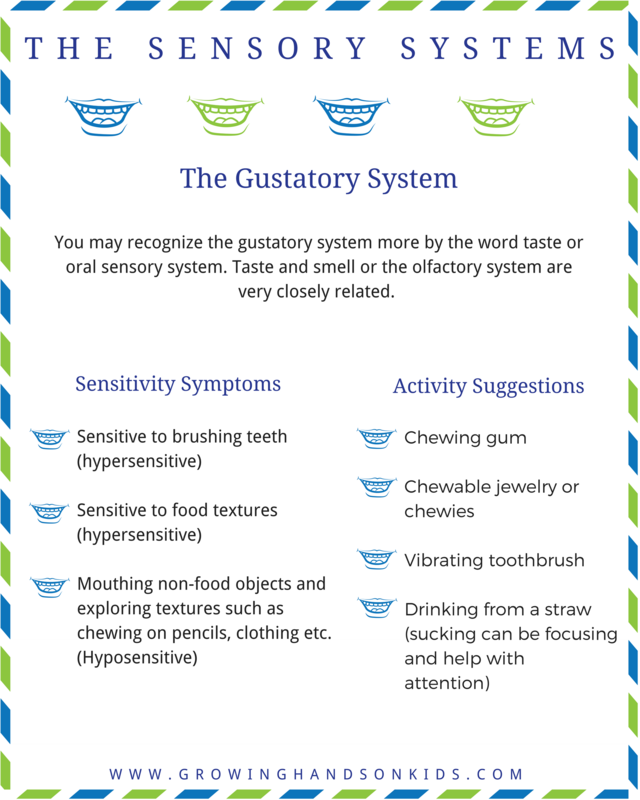 The Sensory System Printable guides gives you 7 PDF handouts that you can use to share about sensory processing with family members, friends, or hang in your classroom or therapy rooms. Each printable is colorfully designed and gives a general description of each sensory system along with sensitivity red flags and activity ideas. If you would like to get this packet for free, you can do so here in my 9-day sensory processing e-mail series.